About: Townsville Skindiving Club was formed in 1982 and it continues to be one of Queensland's most active clubs. Meetings: first Tuesday of each month (except January) at 7.30pm - Townsville Motor Boat & Yacht Club, 1 Plume Street, South Townsville. 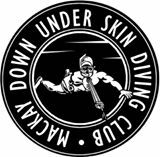 About: The Mackay Down Under Skindiving Club is one of the oldest spearfishing and freediving clubs in Queensland. It has been around for over 60 years and is still going strong. About: The Bundaberg Skindivers Club is a community of avid spearfishers. 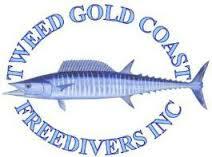 About – The Tweed Gold Coast Freedivers is a large active club with a membership base that spans across South East Queensland. The club participates in both spearfishing and underwater hockey. Meetings: first Thursday of the month at 7.00pm, at the Palm Beach Olympic Swimming Pool on Throwers Drive, Palm Beach.